↑ ୨.୦ ୨.୧ "The World's Billionaires No. 83 Azim Premji". Forbes. 3 November 2009. Archived from the original on 29 November 2009. Retrieved 7 December 2009. ↑ "Gujaratis the shining feather in market cap". Times of India. 19 October 2006. Retrieved 1 October 2013. ↑ "Azim Premji". Retrieved 13 November 2017. 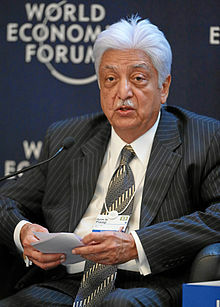 ↑ "#83 Azim Premji". Retrieved 13 November 2017.